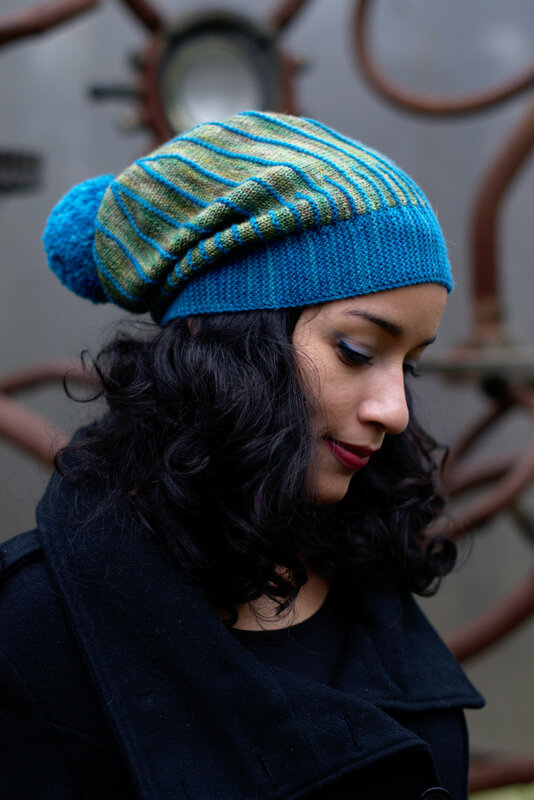 A deep garter stitch brim forms a snug ribbed band, from which the garter stitch stripes extend. The pattern is easily adjusted for different sizes by working more or fewer panels. 55yd/50m for a 6x6in/15x15cm swatch in Garter St.
28 sts x 56 rows to 4in/10cm on 2.5mm needles over Garter St.
28 sts x 44 rows to 4in/10cm on 2.5mm needles over St.St.